Structural control represents a high technology proposal for civil engineering innovation. 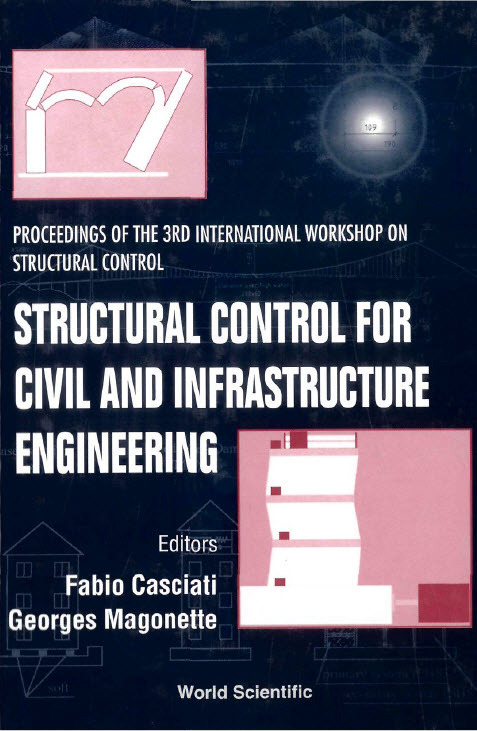 This book collects the invited papers presented at the 3rd International Workshop on Structural Control. The geographical coverage and the high quality of the invited speaker's contributions make the book a unique update in the areas of intelligent structures, structural control and smart materials for civil and infrastructure engineers. Contents: An Identification Algorithm for Feedback Active Control (N D Anh); Application of Control Techniques to Masonry and Monumental Constructions (A Baratta et al. ); Monitoring of Infrastructures in the Marine Environment (A Del Grosso); Health Monitoring and Optimum Maintenance Programs for Structures in Seismic Zones (L Esteva & E Heredia-Zavoni); Outline of Safety Evaluation of Structural Response-Control Buildings and Smart Structural Systems as Future Trends (K Yoshikazu & T Hiroyuki); Recent Developments in Smart Structures Research in India (S Narayanan & V Balamurugan); Perspective of Application of Active Damping of Cable Structures (A Preumont & F Bossens); Parametric and Nonparametric Adaptive Identification of Nonlinear Structural Systems (A W Smyth et al. ); Active Control Requirements in Railway Projects (H Wenzel); and other papers. Readership: Civil engineers and scientists working in the areas of intelligent systems and smart materials.